Lorde has a message for those offended by her recent Instagram post. The 21-year-old pop singer sparked backlash on Thursday after referencing the late Whitney Houston in the caption for a photo of a bathtub. 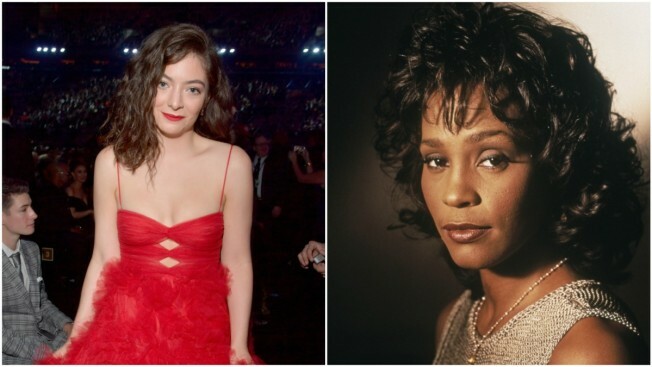 "And iiii will always love you," Lorde wrote, alluding to the 1992 song made famous by Houston and featured in The Bodyguard. In 2012, Houston accidentally drowned in a hotel bathtub, the effects of atherosclerotic heart disease and cocaine use contributing to her passing. Three years later, the singer's daughter, Bobbi Kristina Brown, died in a similar manner. Lorde deleted the photo and ultimately issued the following statement via Instagram Stories. "Extremely extremely poorly chosen quote," the "Green Light" songstress wrote. "I'm so sorry for offending anyone--I hadn't even put this together I was just excited to take a bath." Lorde added, "I'm an idiot. Love Whitney forever and ever. Sorry again." "IT IS NOT MY FKN DAY TODAY," the New Zealand-born performer added in a second post. Lorde is currently in the midst of her Melodrama World Tour, and is expected to perform at the Prudential Center in Newark, New Jersey tomorrow night.